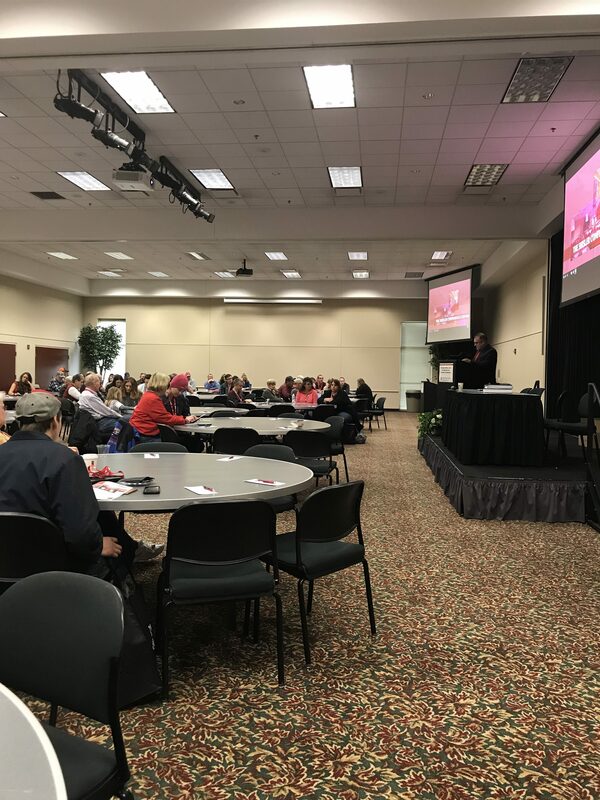 Yet again, the annual Buckeye Shepherd’s Symposium, sponsored by the Ohio Sheep Improvement Association (OSIA), went off without a hitch this past weekend. The objective of the symposium is to assist sheep producers by providing a two day event full of educational programming from which every sector of the American sheep industry can benefit from. The symposium was held in the Shisler Conference Center at the Ohio Agriculture and Development Center (OARDC) in Wooster, Ohio. The symposium kicked off on Friday, December 1, with Dr. Francis Fluharty with The Ohio State University speaking on the topic of “The Realities of Finishing Lambs on Grass vs. Grain.” I will mention that a lot of the research that Dr. Fluharty presented during this session is or will become available on the webpage through the research summaries. If you have any further questions on the any of these pieces of literature or would like to see the full manuscripts, please feel free to contact me. Following Dr. Fluharty, Dr. Erin Recktenwald with Michigan State University presented a new program currently being developed at MSU that can be utilized by small ruminant producers to capitalize on small ruminant production efficiencies. For those interested in the final product and utilization of this program, we will provide additional information on how to utilize the program as it becomes available. To wrap up the Friday event, Dr. Fluharty took the stage once again to address a common question presented by producers, how to feed and manage ewe lambs. In addition to Friday’s educational events, this year OSIA as sponsored the inaugural Young Shepherd’s Program. This program was open to producers ages 18-35. This event allowed for our youngest shepherds to have the opportunity to interact with other young shepherd’s involved in the industry. 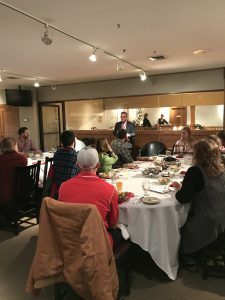 This event featured a panel of young agricultural entrepreneurs and professionals that shared their experiences in sheep production as well as addressed a set of prepared questions and questions from the participants engage in conversation. Moving into Saturday, December 2, the symposium was filled with a full schedule of events. 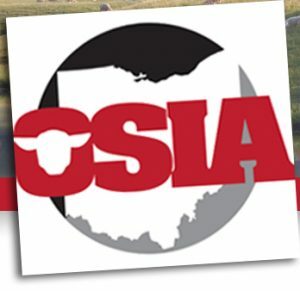 The day began with the Ohio Sheep Improvement Association Annual Meeting where both elected board members and OSIA general members were able to partake in discussion and listen to the annual updates from the association. Once the annual meeting came to a close, the event was set to begin. After a brief welcome and introduction, the Primary Theme of the symposium was presented as the young men that represented the state of Ohio at the 2017 Howard Wyman Sheep Leadership School shared their experiences while in Albany, Oregon. Attendees included Alex Tuggle, Adam Wagner, and myself. The trip was graciously sponsored by the Ohio Sheep and Wool Program (OSWP). All three attendees presented a slide show with pictures that highlighted their trip, anywhere from all of the sheep enterprises that were visited to the differences in west coast agricultural production. Speaking on behalf of the three of us, we are thankful to have had the opportunity to attend this trip as it allowed us to see how sheep production occurs out west as well as an opportunity to develop friendships with other shepherds around the nation. We thank both OSWP and all of Ohio’s producers that continue to support the check-off program. At the conclusion of the Howard Wyman presentation, Dr. Mark Lyons with USDA-APHIS gave a brief update on the USDA scrapie program. One of the highlights that was mentioned by Dr. Lyons was the discontinuation of free plastic scrapie tags. Dr. Lyons noted that there were some opportunities for producers to receive free plastic scrapie tags. For those interested, please contact Dr. Lyons and his office directly. After the scrapie program briefing and short break, morning educational break out sessions were presented. The three breakout sessions consisted of sheep reproduction, specifically on improving productivity of your flock through reproductive management with Dr. Tadd Thompson; marketing and economics, principles of lamb marketing – exploring non-traditional or ethnic marketing opportunities with Dr. Erin Recktenwald; and a novice and beginner session focusing on the yearly management of the sheep flock with Roger High and myself. I will note that for those that are interested in viewing the presentations from any presentation presented at the 2017 Buckeye Shepherd’s Symposium, please be on the look out for an additional post that will have all presentations provided as a PDF. After the morning sessions were complete, it was off to lunch as The Ohio State University Meat Science club helped prepared a delicious lamb lunch! Immediately following lunch, Dr. John Foltz, Animal Sciences department chair at The Ohio State University, gave an introduction of himself and updated Ohio shepherds on the happens within the department from a departmental standpoint as well as the departments continued support of the American sheep industry through research and the teaching of the Small Ruminant Production course. At the conclusion of Dr. Foltz’s address, he opened the floor for questions which allowed for attendees to ask questions regarding the future of the sheep industry in the state of Ohio. Dr. Foltz also stayed throughout the latter portion of the day to spend time interacting with producers and listening to their concerns. Dr. Foltz is committed to taking the time to sit and listen to all stakeholders regarding the Department of Animal Sciences. After this session with Dr. Foltz was complete, the OSIA awards program got was underway. The highlight and most prestigious award given to any Ohio Shepherd, Charles Boyles Master Shepherd, was given to the Kin Brothers of Wyandot County. For the full award video of the Kin Brothers, please follow this link. 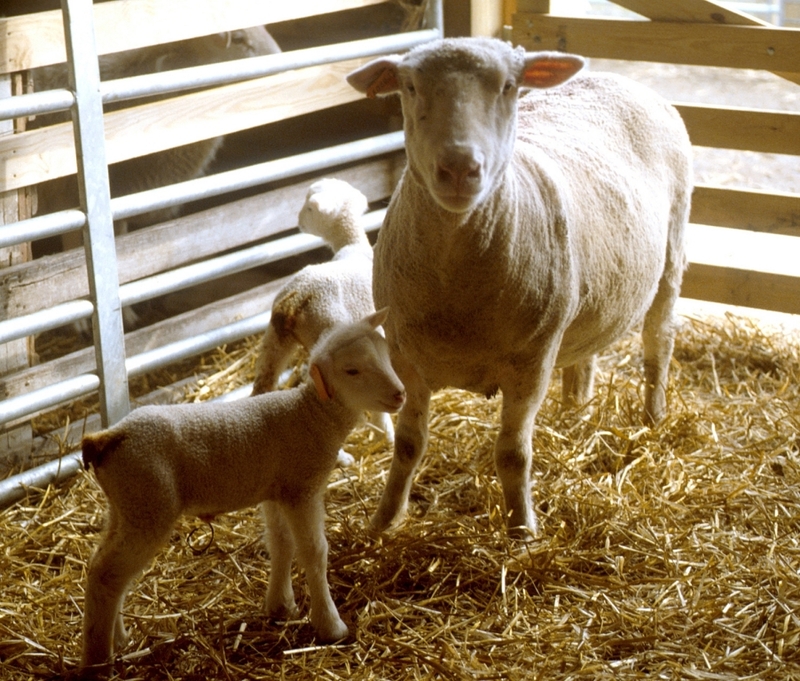 For a full list of all award winners, please visit the Ohio Sheep Improvement web page. After the award ceremony was complete, the afternoon break out sessions began. Just as it was done during the morning sessions, there were three sessions to attend in the afternoon. Again, Dr. Tadd Thompson presented information on sheep reproduction – the how’s and why’s to using artificial insemination; Nick Forrest, Ohio Lamb Entrepreneur and Chef Jeff Hyde, Chef- Colonel Deś Spice Company presented on advanced principles of lamb marketing; and Roger High and myself wrapped up the management continuum as we challenged new and upcoming shepherds to develop a yearly plan for their own specific sheep operation. Again, presentations from these sessions as well as all other sessions with be made available on the blog at a future date. All in all, the 2017 Buckeye Shepherd’s Symposium was a success and the Ohio Sheep Improvement Association looks forward to providing another great event in the upcoming year. Next years symposium dates have been set and will take place at the same location in Wooster, Ohio on November 30 and December 1.